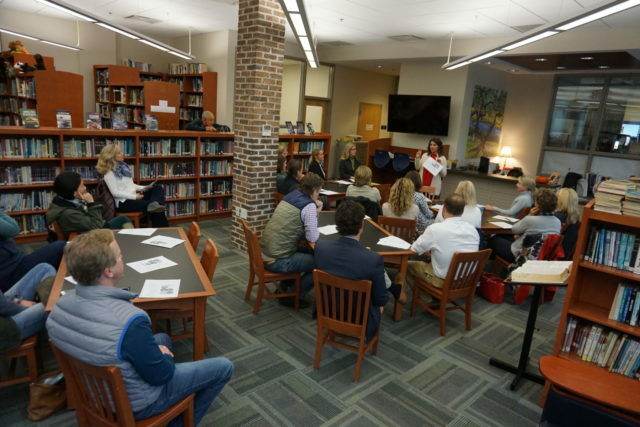 We’re excited to share that Allison Nesser of Creative Counseling Services LLC, who serves as the school counselor, is hosting a series of parenting forums at CDS. More than 20 parents attended the first forum of the series,“Life with your Tweenager,” earlier this month. Throughout her series, Allison will provide information, strategies, and tools to best support your child in becoming a successful young adult. “My goal of the series is to be able to connect parents with resources and information to ease the challenges of raising a child in today’s modern world,” she said. Allison has extensive experience supporting children, adolescents, and their families that are managing symptoms related to ADHD, Anxiety, Depression, Autism, life stressors, and trauma. She focuses treatment on incorporating techniques to best meet families’ needs in order to make a positive change in their lives. Allison can be reached at allison.nesser@charlestonday.org. The warm welcome to Charleston Day has been astounding, and I immediately felt the sense of community as soon as I walked through the door. Want to join the Charleston Day community? Copyright © 2019 Charleston Day School - All Rights Reserved.